In just a little over a month, Pokémon Sun and Moon will finally release on the 3DS, bringing the 20th anniversary of Pokémon to its climax. Over the past several months we've learned about all sorts of new changes and Pokémon to look forward to; it certainly seems like these games will be making some notable breaks from series' tradition. Still, there's plenty that we don't know about the games yet, and Game Freak will be dropping more information on us in a couple weeks. On 27th October, we can expect to hear more new information about the games from Game Freak. If it's anything like the announcements from the past few months, it'll likely be released in a video which shows off the new Pokémon or gameplay elements being spotlighted. Anything's game obviously, but we'd bet there'll be another Gen 1 Alola variant in there somewhere. What do you think? Which Gen 1 Pokémon would you like to see getting a new form? What do you think might be announced? Share your thoughts in the comments below. I'll also bring up that the demos are being datamined and, dang, they have a lot of stuff Game Freak forgot to wipe. Have you guys seen Alolan Dugtrio yet? Apparently all the shiny forms of all Pokémon, including Alola variations known and new, were left in the demo. Soooo... This announcement better be interesting. 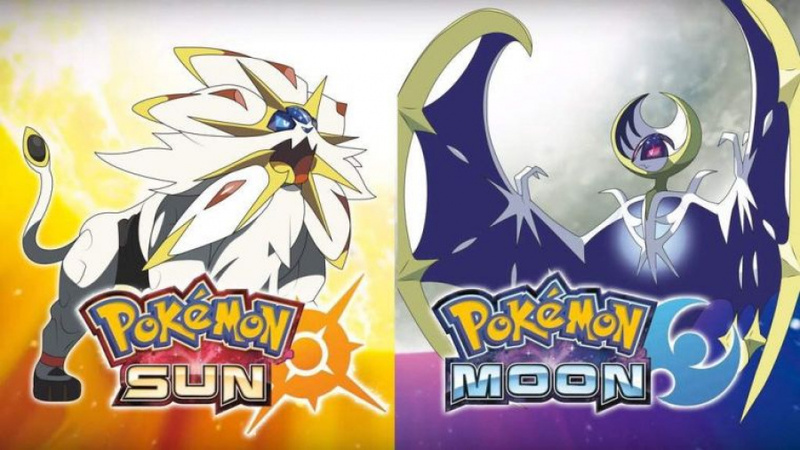 Sun and Moon NX confirmed! @gcunit I was thinking the same. Pokemon is Nintendo's highest-profile franchise. If they want maximum coverage for the nx announcement, then announce it during a much-anticipated Pokemon presentation. The world isn't too bothered about Nintendo hardware, but they do love a bit of Pokemon. Of course, that's making the unfair assumption that Nintendo has good business sense. I want Sawk, Karate Pokemon. Prediction: Nintendo will announce a special Direct for the same date. NX reveal will be in it and the new Pokemon info will be that it will be released on the NX. Plot twist: They will announce the #1000 Pokemon, who can only be obtained by purchasing it's amiibo, codenamed NX, which is also a gaming device as you can play Pokemon Go on it (and only that). I disagree. Announcing Pokemon for NX at this point in time would cannibalize on Sun & Moon's 3DS sales. Some people would prefer to wait until NX to buy the game, and with the Wii U's situation, Nintendo can't afford to harm the 3DS hardware and software sales. Weren't X and Y already hype machines? Nevermind, Sun and Moon will do a fine job at easing the wait for Super Mario Maker for 3DS. @Luna_110 What if NX is in some way backwards compatible with 3DS? NX supposedly uses cartridges. It doesn't seem like a stretch to me to think it might be compatible with 3DS, even if the cartridges are different, and really they wouldn't have to be. It wouldn't be the first time a Nintendo system had two cartridge slots for backwards compatibility. NX could be backwards compatible, but my point is that even if it is, game freak won't announce anything for it yet. This Christmas, Nintendo has only two hardware options: the NES Mini and the 3DS family. Of the two, they are pushing the 3DS/2DS hardware, reflected in the new colors and bundles. With the 3DS sales they have to cover the Wii U's death, and since they operate on the logic of "software sells hardware", they are pushing their main Christmas titles -SMM 3DS and Pokemon. Now imagine, someone who got hooked back up on Pokemon Thanks to Pokemon Go and he or she is thinking of getting a 3DS.... What happens if you tell him, "you'll be able to play this in a better hardware in a few months"!. That person will wait and you get one less sale, which is a luxury Nintendo can't afford this holiday. After Christmas, there could be an announcement of something Pokemon related for NX, but before? Not a chance. That's my main point. @Luna_110 Your logic makes sense, but I think it's just as likely there's some sort of Pokemon tie in with NX if an announcement is truly forthcoming. If something like backwards compatibility is a feature, I could see them announcing it sooner rather than later. Gamers may choose to buy a 3DS anyway, or the cheaper 2DS, to play Pokemon early, then sell it and use whatever they get back to buy an NX without too much of a loss. Most people who want a 3DS or 2DS have one at this point, and NX information is not likely to change the purchasing decisions of the average consumer. Most families I know will wait to see how NX does in the spring and then buy one for their kids next Christmas, regardless of any announcements (unless this is another Wii where it becomes so ridiculously hot that everyone has to have one NOW, but I doubt it). You could be right about them holding off on an announcement like that, if it even exists, but I don't think it would be farfetch'd to see a Pokemon announcement tied into an NX reveal. @NoxAeturnus I think the contrary, that they will try to capitalize on all the momentum with Pokemon GO and transfer it to the 3DS, but I have to admit that what you propose makes sense, too. Its nice to see the two sides of the coin! I think an Alolan Dragonite or Porygon would be neat to see. Though it'd probably be difficult coming up with an explanation for how or why Porygon changed. "Don't believe what you found!" @JohnnyC Pokemon isn't Nintendo, nor is it the highest profile franchise on the Nintendo systems. The Mario franchise has almost double the game sales of Pokemon and if you discount everything but the "Super Mario" sub-franchise (such as Mario Kart, Party, Golf, etc), Pokemon still loses.